Great memoirs must balance the universal and the particular. Too much of the former makes it overly familiar; too much of the latter makes readers ask what the story has to do with them. In his debut, Hickam, a retired NASA engineer, walks that line beautifully. On one level, it's the story of a teenage boy who learns about dedication, responsibility, thermodynamics and girls. On the other hand, it's about a dying way of life in a coal town where the days are determined by the rhythms of the mine and the company that controls everything and everybody. Hickam's father is Coalwood, W.Va.'s mine superintendent, whose devotion to the mine is matched only by his wife's loathing for it. When Sputnik inspires "Sonny" with an interest in rockets, she sees it not as a hobby but as a way to escape the mines. After an initial, destructive try involving 12 cherry bombs, Sonny and his cronies set up the Big Creek Missile Agency (BCMA). From Auk I (top altitude, six feet), through Auk XXXI (top altitude, 31,000 feet), the boys experiment with nozzles, fins and, most of all, fuel, graduating from a basic black powder to "rocket candy" (melted potassium chlorate and sugar) to "Zincoshine" (zinc, sulfur, moonshine). But Coalwood is the real star, here. Teachers, clergy, machinists, town gossips, union, management, everyone become co-conspirators in the BCMA's explosive three-year project. Hickam admits to taking poetic license in combining characters and with the sequence of events, and if there is any flaw, it's that the people and the narrative seem a little too perfect. But no matter how jaded readers have become by the onslaught of memoirs, none will want to miss the fantastic voyage of BCMA, Auk and Coalwood. First serial to Life. 10-city author tour. (Sept.) FYI: Rocket Boys is currently in production at Universal, which plans to release it later this year. 5.0 out of 5 starsHeart-warming story of struggle perseverance, and achievement; great for young men, and EVERYONE else, too! This is an excellent book. This well-written biography is a snap-shot into history, into the mind of a teen-aged Homer Hickam, into the lives people living in a 1950's coal mining town, and into our national attitude about the space race. Two of Mr. Hickam's other books, "The Coalwood Way", and "Sky of Stone" both give even more insight, and are also great reads. I highly recommend all three of these books, especially for young men. 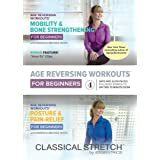 The books show the benefits of friendship, persevering in the face of incredible odds, and also the benefits of learning on your own. As the mother of three boys, I can say that finding suitable, character building books for young men can be quite a challenge, but these are very good. A bit of foul language is found in all three books, but usually h---, d---, s---, and a few G-- d---'s, things we can unfortunately hear walking in a mall, attending a sporting event, or watching movies and television. These books lack the parade of f-bombs that one can find in contemporary "literature", and also include plenty of discussion about faith, compassion, and helping those less fortunate. 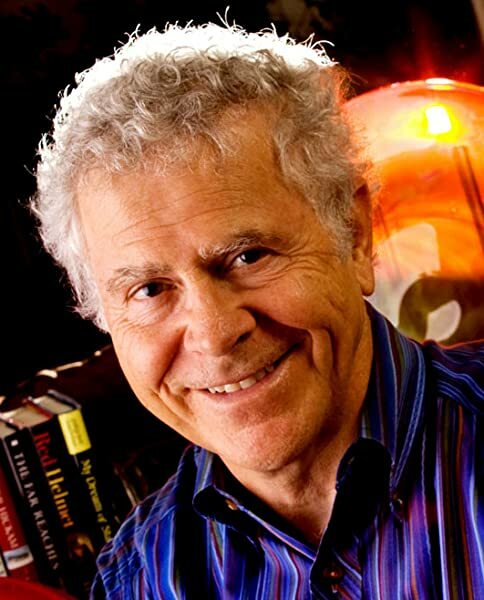 I'd like to shake Homer Hickam's hand! 4.0 out of 5 starsGreat (and timely) back story on the coal industry told within a good story. If you want to learn about the coal industry --- read this book. While coal mining is the back story, it is also one of the most vivid descriptions of what coal mining was really like -- and how it really disappeared -- told in story form. Little did I know that this information would be helpful given what is going on with our government and the coal industry today. A great read in terms of that and a pretty good darn read in terms of everything else. While I found it predictable in the telling in places (which is why I didn't give it 5 stars), it's a decent story with good pacing and some degree of insight. Nothing "literary" but good anyway. BTW, I would recommend it to any boy or girl who can read/understand it. It's a good slice of history and a good modeling of what it sticking to your goals and making your dreams come true. and to be honest, wasn't really "looking forward" to reading it....that said, boy was I GLAD I DID!!! The book is so well written and the story it told so interesting to me!! I literally had a hard time putting it down each night and liked it so much, as I neared the end, I ordered The Coalwood Way (after looking up everything I could related to Coalwood on the Internet)...profusely thanked my friend for the recommendation and he told me the movie was excellent as well, so you know what that means!! studied, thoughtful way the young boys applied themselves to making rockets that actually flew. It's a riveting story with opening scenes focused on the family, good tension builds as Homer (Sonny) keeps at his project while navigating high school life and in the end, it was gratifying to discover that the old adage, "hard work pays off" served the Big Creek Missile Agency (BCMA) delivering the attention and accolades they deserved. 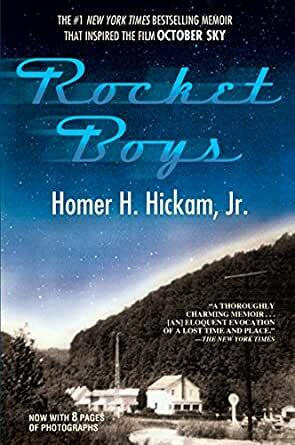 Homer Hadley Hickam, Jr. triumphed in the end and the reader soars right along with those rockets. 5.0 out of 5 starsFantastic story, highly recommended. I usually don't leave reviews but I absolutely loved this book. It was a fun story about growing up but all of the characters in the book were so rich and complex while still keeping the story very simple. I felt truly invested in the entire town and could get a sense of how each character had so many sides and facets to them. The book seemed to acknowledge how each character had some type of shortcoming that they had or were coming to terms with making them all human. I looked forward to reading this book everyday and tried my best to ration it to make it last. There was nothing at all I disliked about this book or the style except that I never wanted it to end. I would guess this book should have a broad audience and I recommend it to all. Starts of slow and picks up. Nostalgic with a tiny bit of math and science. I personally enjoyed the success story of the boys whom people didn't expect much from. Especially Homer,whom was mocked for struggling with Algebra and went on to be a NASA engineer. The book paints just how crucially important and influential teachers are, as well as receiving support from somewhere so that life doesn't end up crushing young people's dreams. I learned a great deal about West Virginia during that time period, and how the space race impacted life in Homer's little town. Overall I would recommend.